All the Club Lasers should be the same – there will only be 3 control lines to connect. 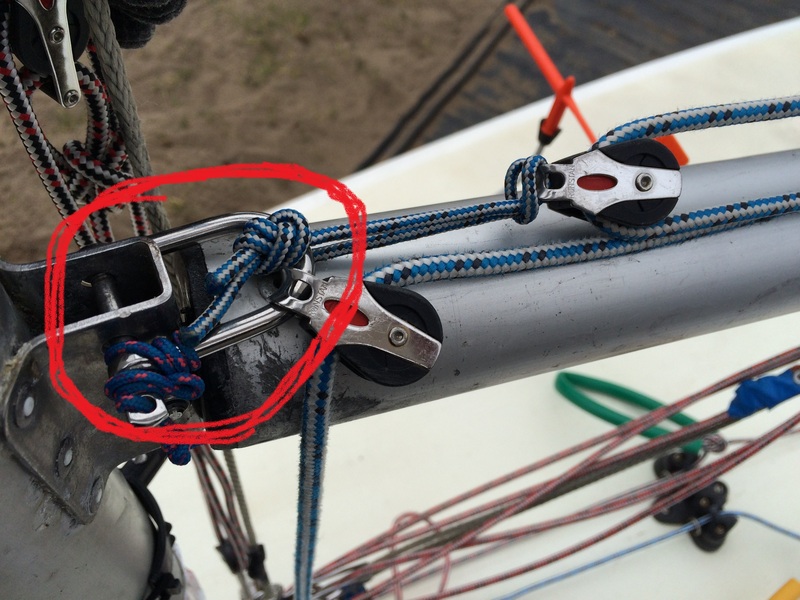 Of course that means there are only 3 control lines to disconnect after sailing: Quick eh ! 1. 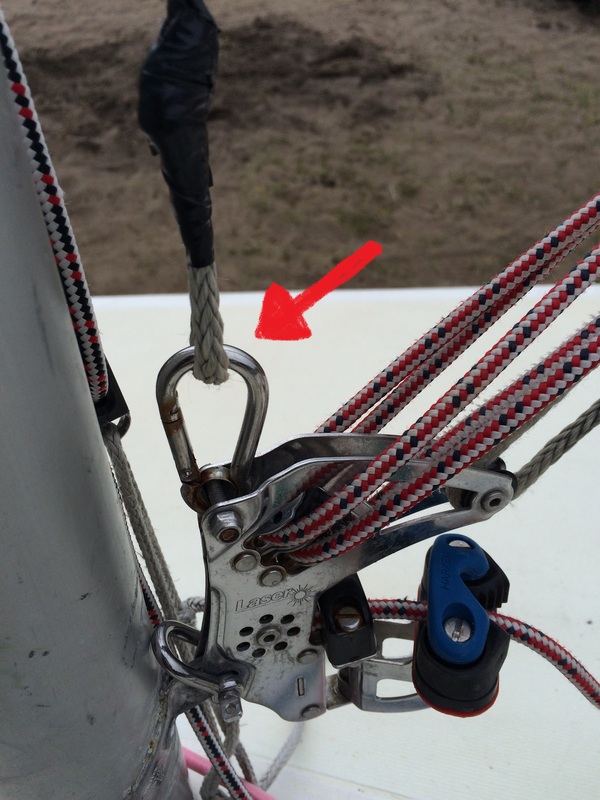 Once you’ve got the sail on the mast & into the mast step, put the boom onto the gooseneck. 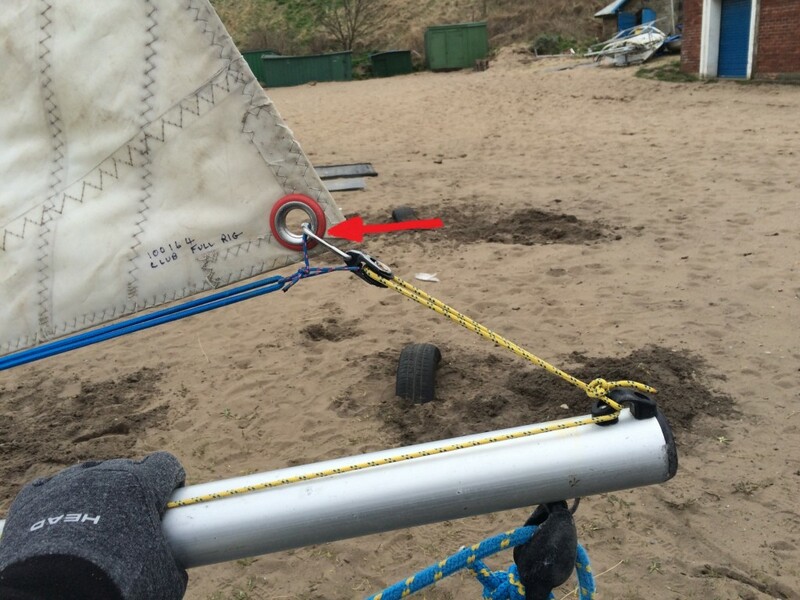 At the other end, clip the outhaul onto the end of the sail. 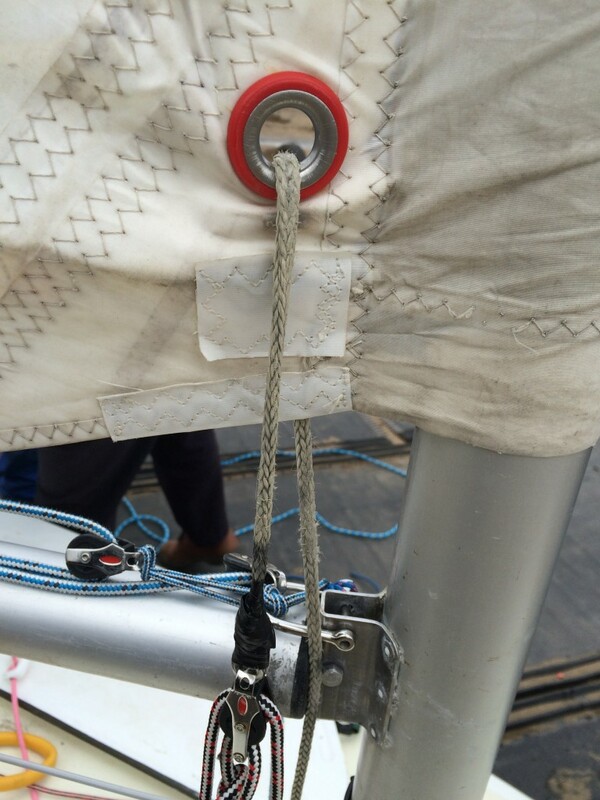 Oh – and missing from this is the need to use a clew strap (velcro or piece of rope to tie) to connect that all to the boom! 3. 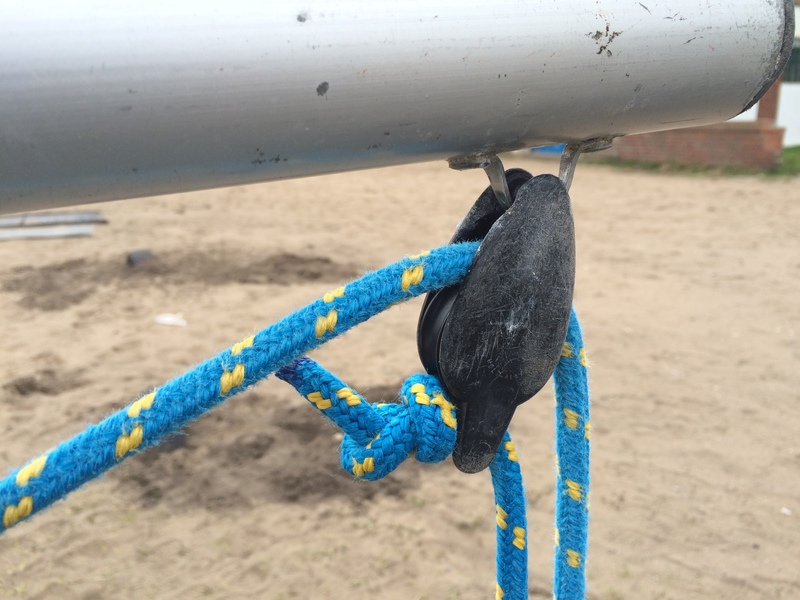 Finally, run the outhaul through the sail & clip the loop on the end to the carabina that’s on the top of the kicker.